Mito is designed as a public bench serving also as bicycle rack. 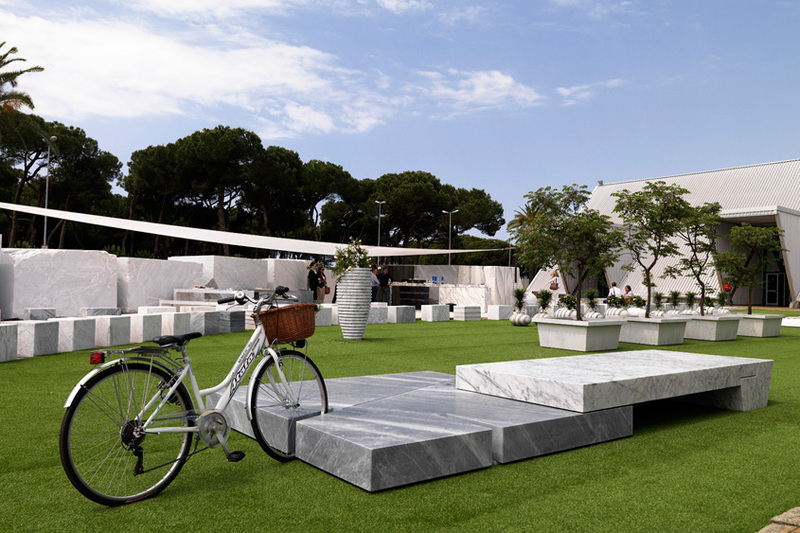 It can be ordered from a variety of available stone materials, providing interesting juxtaposition with simple overlapping archetypical shapes. 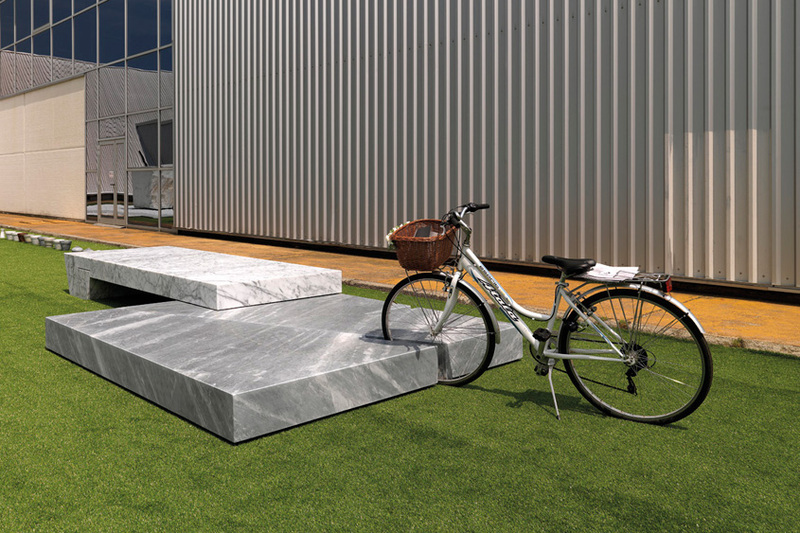 Ideal for versatile placement to provide social interaction in public space. 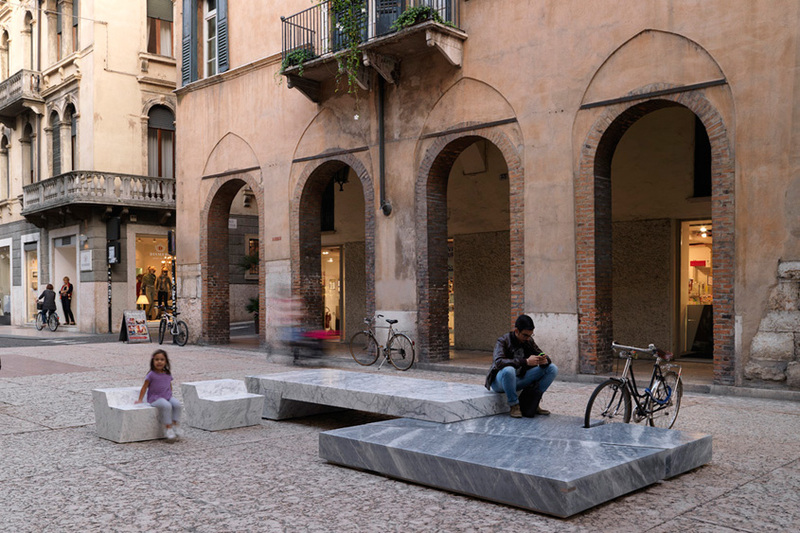 It was presented at Carrara Marmotec 2012 and exposed in Verona's Corso Portoni Borsari on the occasion of Marmomacc 2012.